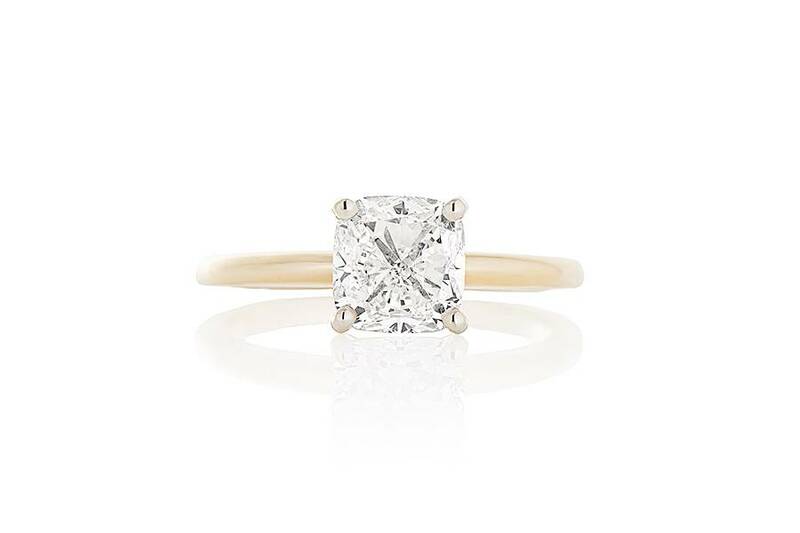 Ladies hand crafted diamond solitaire setting crafted in 14k yellow gold. The four-claw setting is crafted in 14k white gold and the remaining shank of the ring is high polish, yellow gold. 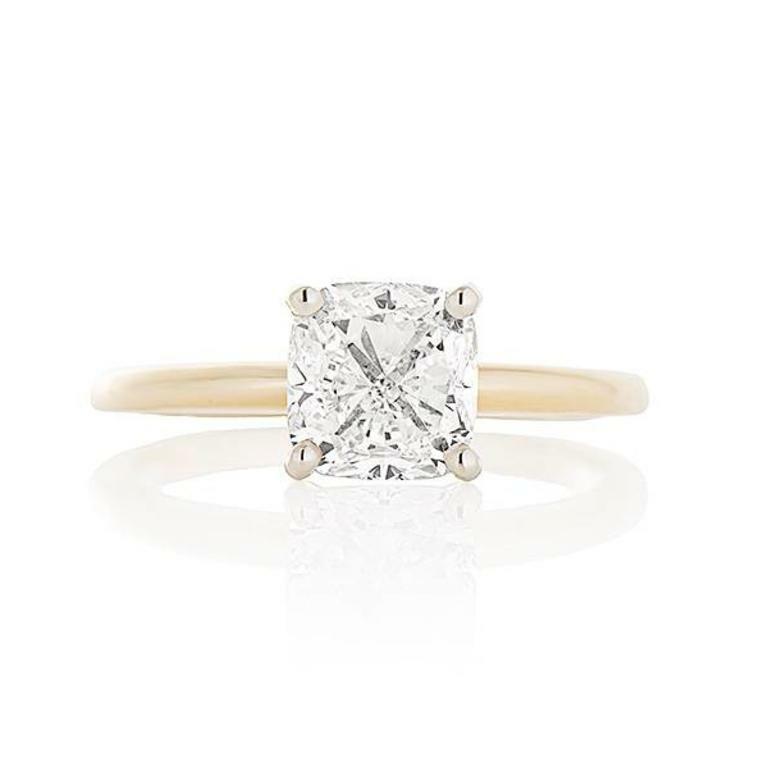 It is pictured with a 1.00ct cubic zirconia center and the setting (not including the center diamond) starts at $990 and up for a cushion cut shaped diamond, plus any additional setting fees.